Can Low Impact Design Structures store rainwater? Global groundwater resources in urban, coastal environments are highly vulnerable to increased human pressures and climate variability. 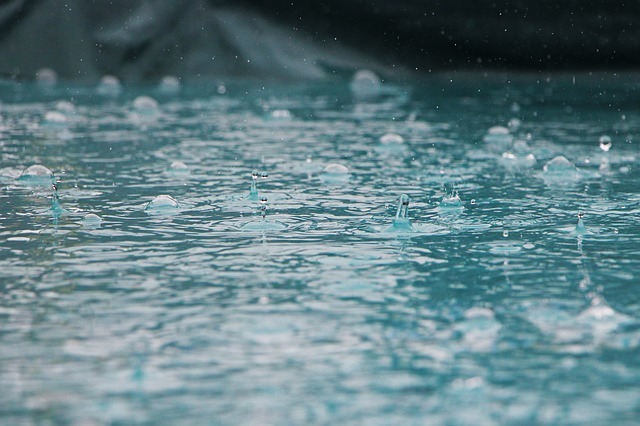 Impervious surfaces, such as buildings, roads, and parking lots prevent infiltration, reduce recharge to underlying aquifers, and increase contaminants in surface runoff that often overflow sewage systems. To mitigate these effects, cities worldwide are adopting low impact design (LID) approaches to direct runoff into natural vegetated systems such as rain gardens that reduce, filter, and slow stormwater runoff. LID hypothetically increases infiltration and recharge rates to aquifers. The research team looked at the differences in the quantity of water that LID structures could allow to pass through. Michelle says. 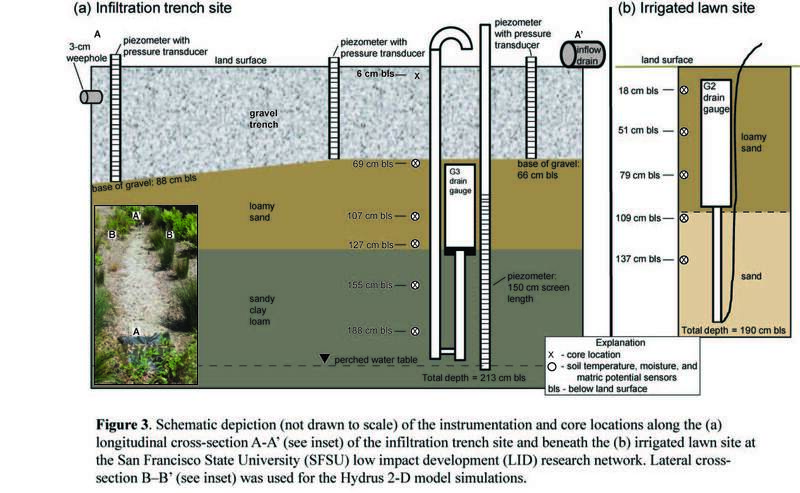 ”The sensors yielded data proving LID areas were effective at capturing the water, infiltrating it more slowly, and essentially storing it in the aquifer.” The team tested how a low-impact development-style infiltration trench compared to an irrigated lawn and found that the recharge efficiency of the infiltration trench, at 58% to 79%, was much higher than that of the lawn, at 8% to 33%. Michelle’s research received some press online and also was featured in the AGU EOS Editor’s spotlight. 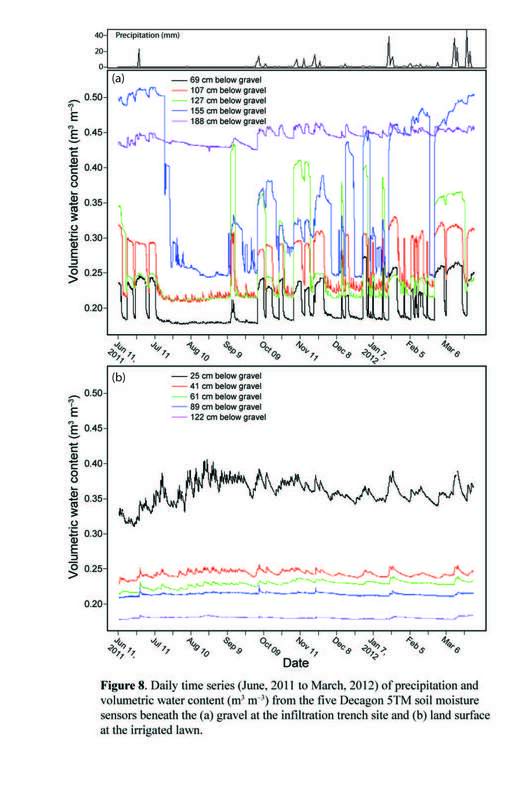 Her results are published in the journal Water Resources Research.